Partners in Building educates new and renewing congregations on ways to reinvent the concept of church through innovative uses of buildings and space. PIB is designed for leaders who are planning to or interested in learning how to build on, purchase, develop, manage, renovate, or refinance church-owned properties. The PIB training event is offered annually in various locations across the United States. Through PIB pastors, lay leaders, and church property denominational executives from the United Church of Christ and other Christian churches are offered the opportunity to meet with CB&LF staff, capital fundraising executives, CB&LF loan partners and a range of building professionals and industry specialists including: land use attorneys, design and construction professionals, stewardship professionals, and active CB&LF loan partners. There is a $100 per person registration fee to attend the Partners in Building event. CB&LF will pay the costs for all travel, lodging accommodations and meals. 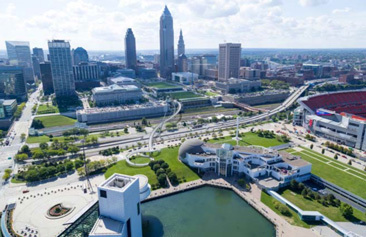 This year’s PIB will be held in Cleveland, Ohio on September 22-23, 2017. Registration will open in April 2017. More information to come soon!